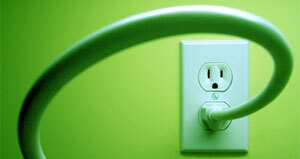 If you’re reading this article it means that you are in some way using electricity. Even if you’re running on battery power from an iPad, cell phone, laptop and so on, at some point you had to charge it, and that means electricity was involved. We all get an electric bill each month, but have you ever pondered what each item is costing you to run instead of the overall bill? How much did it cost you to watch TV for two hours last night? Luckily there are sites out there that will help you figure out those costs, and we’ve gathered up five of the best to help you out. 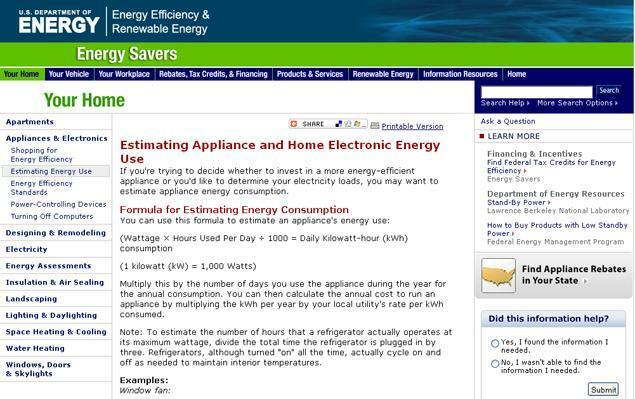 The Energy Savers site from the U.S. Department of Energy is more of a general tips site for different things you can do around your home to cut costs, but it does include formulas for you to calculate how much energy any electrical appliance is using, and how you can turn that into a calculation of how much it costs you over time. 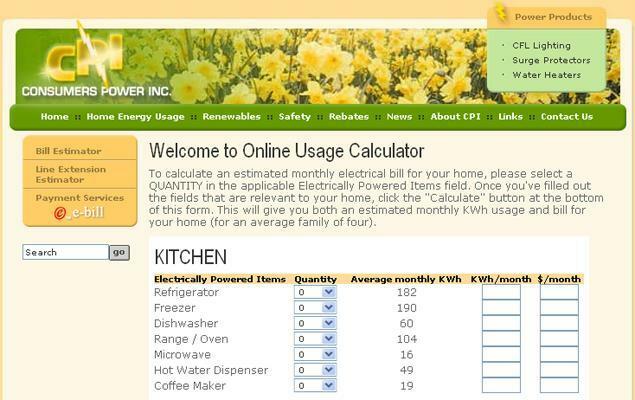 If you aren’t sure of how much wattage an item is, they also include a chart of some of the more common items in a home. 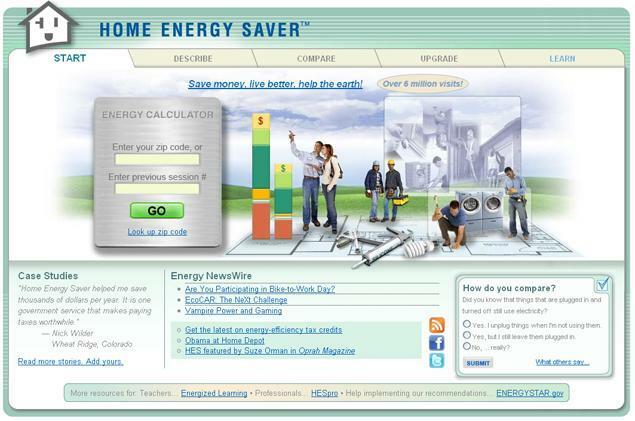 Home Energy Saver is another site from the U.S. Department of Energy that will help you calculate all of the energy costs associated with your home and then offer tips on how you can cut those costs by buying more energy efficient appliances, fixing your roof, resealing windows and more. It doesn’t really focus on your electronics per se, but if you save money other places, you can afford to run your Xbox 360 for another hour of Modern Warfare 2. 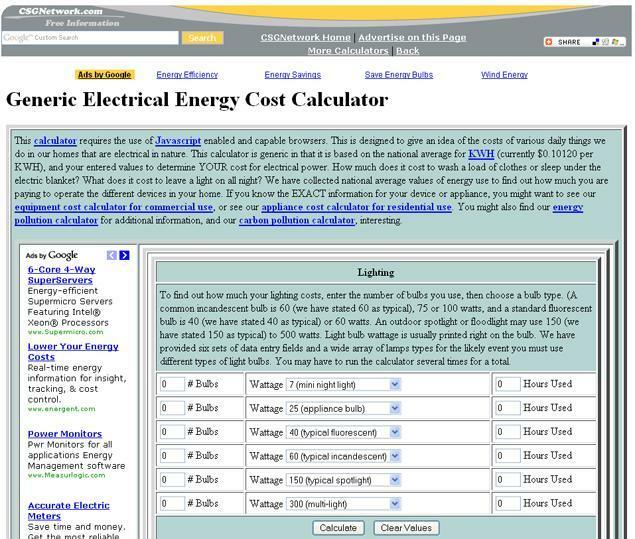 The Generic Electrical Energy Cost Calculator is the best of the calculators for figuring out how much lighting costs you as it allows you set various wattages and quantity per type. Also features a lot of variations on television by screen size and so on. Consumers Power Inc. is focused more on rural living from what we can tell as it features a generous section on “well pumps”, beyond that it will help you quickly figure out a lot of the major appliances in your home and some electronics. 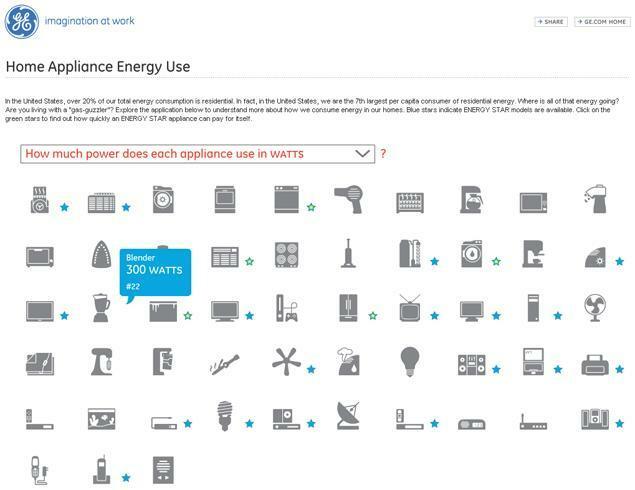 The Home Energy Appliance Use page from GE is probably one of the easiest and fastest pages to figure out the major items in your house. The page starts off assuming you have everything, so then you click on the items you don’t have. What’s nice is you can change how the information is displayed, and one of the choices just shows you plain dollars for your state what that item will cost you over a time period of your choosing. Anything surprise you in how much it costs you? I was a bit surprised that according to GE it only costs me about $.78 a year to charge my cell phone!